Let’s JUMP start the new school year together with pizza, cake, and a whole lot of jumping around. We will leave church together on a JUNGLE adventure Sunday, August 26 for a 2 hour safari. 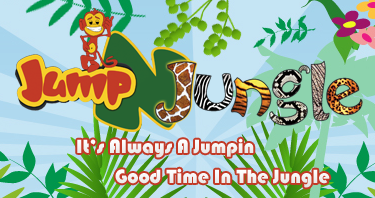 We will leave Church at 12:00 noon and you will need to be picked up by 2:00 at Jump-N-Jungle. All children are invited including our littlest of littles, but an adult will have to be present for any under the age of 6. You can bring a friend. We have room for 20 kids. You must register with Kathy Hoke so we can save a space for you.